Plastic containers should be washed out before they are put in the recycling. Food traces contaminate the recycling process. Do not recycle plastic containers labeled “compostable” because they will be sorted out of recycling. 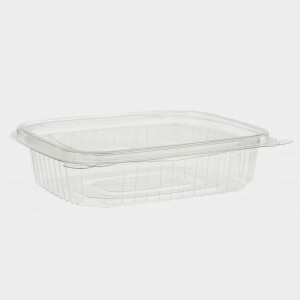 Plastic takeout containers are made up of chemicals that will leach into your food if you wash and reuse them. Out of all the types of takeout containers — aluminum, cardboard, plastic and foam — aluminum is the easiest for recycling plants to recycle, while foam is the most difficult.